I ONLY WANT YOU TO LOVE ME tells the poignant story of Peter, who endures a loveless childhood and becomes a maladjusted adult unable to cope with daily life and the responsibilities of raising a family. A compulsive worker and consumer, Peter tries to buy the love denied him by lavishing gifts on those around him. Under the strain of mounting debts and long work days, Peter snaps, and in a moment of disassociation, commits a senseless murder. 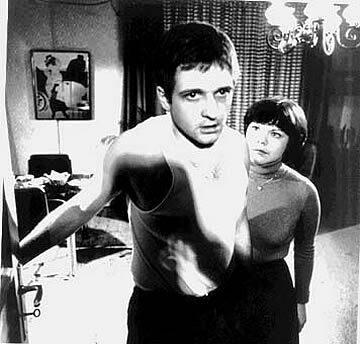 "Fassbinder fans will find plenty to cheer about in this biting social satire - the film almost 20 years old, seems suprisingly relevant now." "One of Rainer's most poignant works." "love is colder than death" "Compelling! One of the more poignant social casualties to be examined in the films of the great German director... a classic theme that can never bear too much repeating."